The Gospel Explosion event, presented by the 3D Committee at the Heritage Worship Centre on May 23, has raised $15,000 in support of three young women who are battling serious health challenges. The $15,000 total — which allowed for each recipient to receive $5,000 – included a $1,500 presentation from Jean Van der Merwe, President of the Bermuda Organ Donor Association [BODA]. The event supported Kelee Darrell, Kevina Santucci, and Aquilah Salaam. “Although they did not meet their target, every bit helps, and the love that was shown by the Bermuda community was heartwarming. “The committee wishes to thank all of the performers, donors, sponsors, and all those who participated in any way. 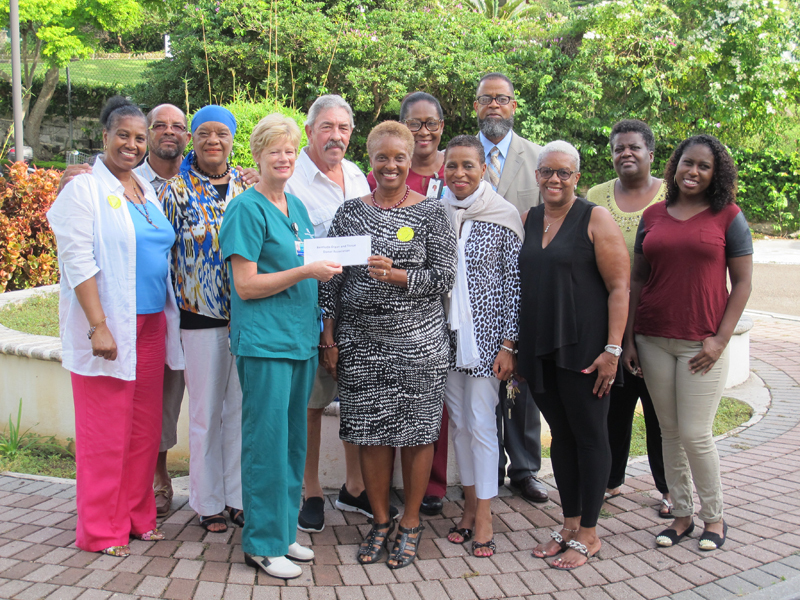 They are especially thankful to Jean Van der Merwe, President of the Bermuda Organ Donor Association, and its executive for their generous donation which resulted in a total of $15,000 being raised and shared equally among the recipients .